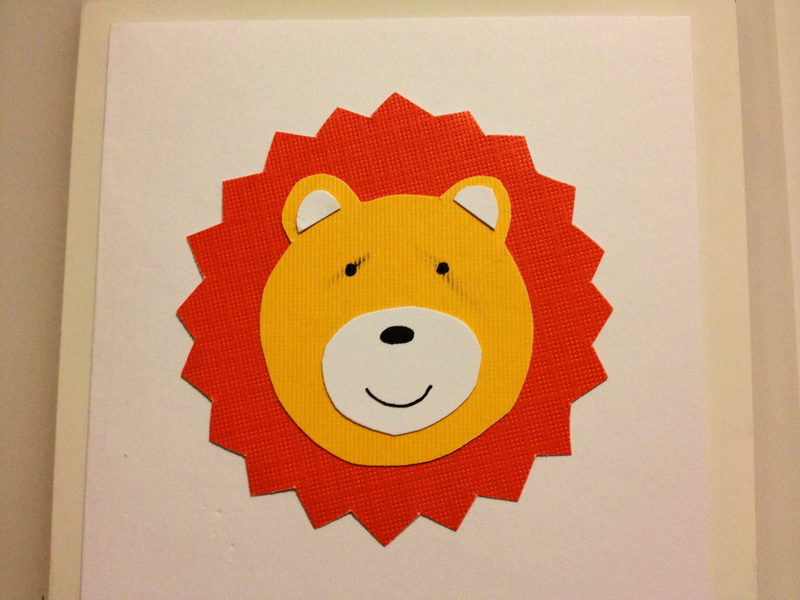 Tonight I made a lion face card. It’s cute, and was quick and easy to make. No he has probably just put his steroid eye drops in. That’s how my eyes look after!!! So cute!!! 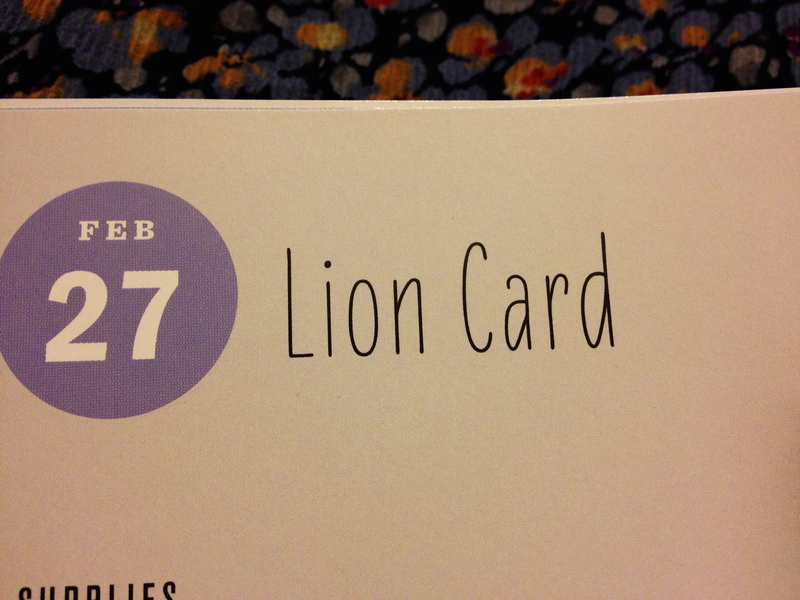 That cryin’ lion is great! You know, if you wanted to leave off the mane, it could be a bear! Stacey, I think that comment wins you this card.